Ju 88A-1 serial number 328 crashed into the North Sea off Harwich 3/10 1940. The aircraft belonged to Aufklärungsgruppe. 1. (F)/122 and was coded F6+BH. JU 88A-1 serial number 328 was on a recce flight over the English east coast when a distress call was received at 18:45 hours when the aircraft was in Pl.Q. 2200 05E which is in the Harwich area. 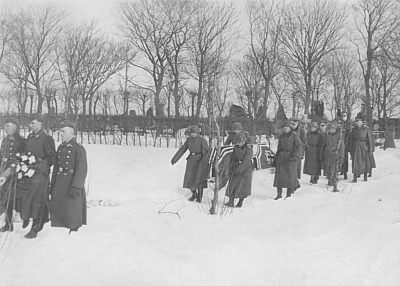 On 28/11 1940 Navigator Feldwebel Hermann Peters was found washed ashore near Vrist by Receiver of Wrecks Niels Vrist and was laid to rest in Lemvig cemetery on 2/12 1940. 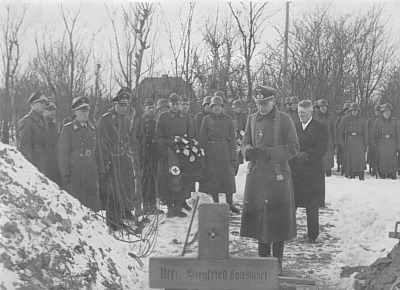 The body of Pilot Oberfeldwebel Günter Spanke was found washed ashore in beach area number 34 near Lyngvig on 2/12 1940. The body was brought home to Germany. If the bodies of WOp Oberfeldwebel Hans Adler and Flt.Engr. Unteroffizier Lorenz Wabnitz have been found it is unknown to the author. Sources: RL 2 III/752, Ringkøbing Police journal, Report Lemvig Police, BL, Peter Cornwell, MH.